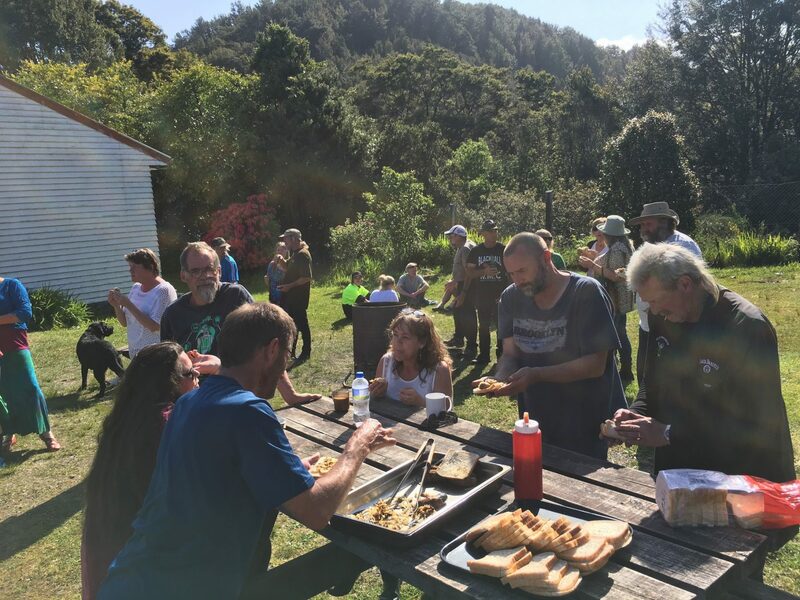 The town of Blackball is stepping up to meet the opportunities predicted to come from the new Paparoa Track and Pike29 Memorial Track between Blackball and Punakaiki. The latest addition to New Zealand’s Great Walks, this track is expected to attract 6000 people per year when it opens in 2019. Since the announcement of the new track in 2015, the residents of Blackball – a town of 300 – have spent the last two years working with the Department of Internal Affairs (DIA) knitting together a unified outlook and building strategic relationships with national and local authorities. Determined to keep the vision and values of the local community at the heart of decisions for the town as tourism grows, Blackball has entered into a partnership for community-led development with DIA. With DIA offering five years of support, the residents plan to use this opportunity to achieve significant community-driven change in their town. A volunteer Steering Committee formed after an inspirational workshop co-hosted by Inspiring Communities and neighbourhood-building champion Jim Diers. While leaders in their own right, they will be the first to say that it is the community that leads change in Blackball. The Committee forges strategic relationships, tackles roadblocks to progress, and brings the community together when it’s time for action. The residents of Blackball see their community as their greatest strength. They use town meetings, postal and online surveys, door-knocking and anonymous voting ballots placed in local businesses to ensure that every single resident of the town has an opportunity to put forward ideas and participate in decisions. At no point in the idea development or decision-making process is there a single leader or group making decisions on behalf of everyone else. For a period of four months, the Committee met every week with representatives from DOC, DIA, Development West Coast, Grey District Council and Tai Poutini Polytech, forging strong alliances and planning a community open day. Roadblocks are a natural part of any development project and these relationships are key to gaining outcomes. Over the last two years, the residents of Blackball have become fully engaged in being part of the change they want to see in their town. Embracing the new opportunities offered through their partnership with DIA, the town is determined to learn from the support they will receive over the next five years so that they emerge fully empowered to create the changes they want for their community.